Award-winning Zimdancehall chanter Tocky Vibes real name Obey Makamure says a teargas attack on his pregnant wife during last week’s violent protests inspired his “Soldiers Diss” track. 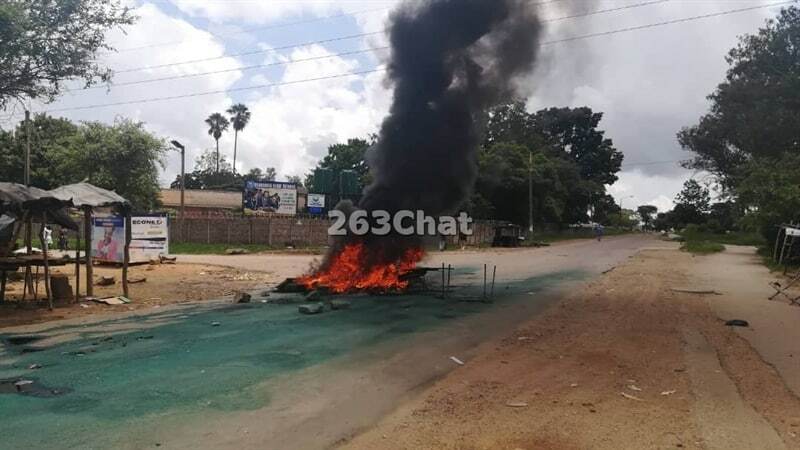 Speaking to 263Chat, the expecting father said his wife was intercepted by canister smoke on her way home from church as the Zimbabwe Republic Police (ZRP) and Zimbabwe National Army (ZNA) tried to quell protests that broke out in Harare last week. “My pregnant wife encountered breathing challenges after she was intercepted by canister smoke fired by police and army during their operations to quell protests in Harare. “That, together with helpless people who do not have fortresses to hide or feet to run when tools preferred by our security personnel to extinguish demonstrations are used, inspired the song,” said the “Mhai” hit-maker. He refuted claims that the “Soldiers Diss” track is political saying soldiers and police do not belong to any political party. “Army and police personnel whom I address in the song are there to serve the country and they do not belong to any political party. It is then wrong to label this a political song because the song addresses people who belong to no faction,” said Tocky Vibes. The “Usakande Mapfumo Pasi” hit-maker urged security personnel to be humane whenever they carry out their duties even when under stern commands. “In the song there are lines where I urge our security personnel to carry a sense of humanity when doing their duties, even when under command, it is not everything that you are commanded to do that you should do, some beatings we witnessed were not necessary,” said Tocky Vibes. The “Soldiers Diss” song has inevitably found its space into public domain despite being released during the social media blackout.